The stadiums on the east side of Singapore make a good running route for mid-distance runners! 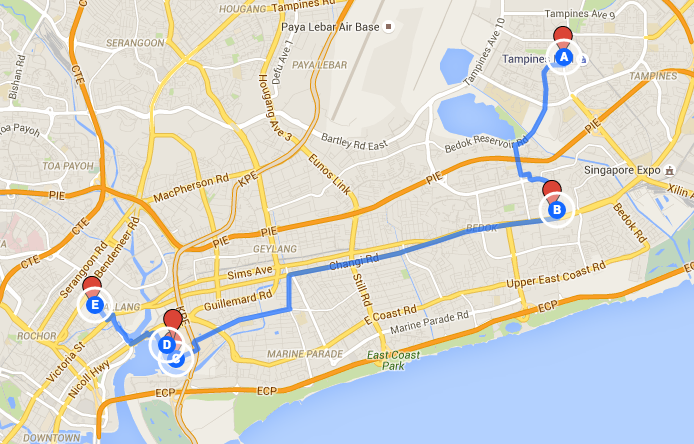 Run a lap around the stadium of your choice and then continue to the next nearest stadium. 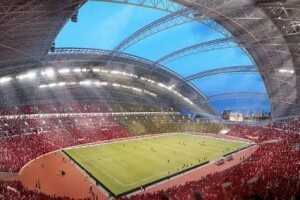 The distance between Bedok Stadium and Singapore Indoor Stadium is the largest — 8.68 km, so be prepared with your own hydration before you reach the endpoint. 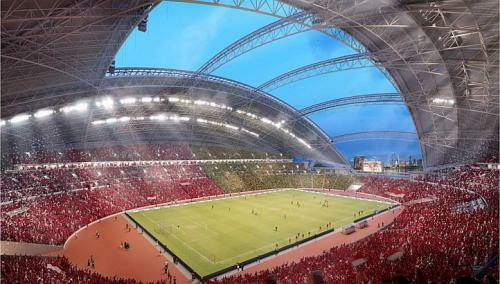 You can increase the number of stadiums or even run the whole route from Tampines Stadium to Jalan Besar Stadium, a total distance of 16 km. 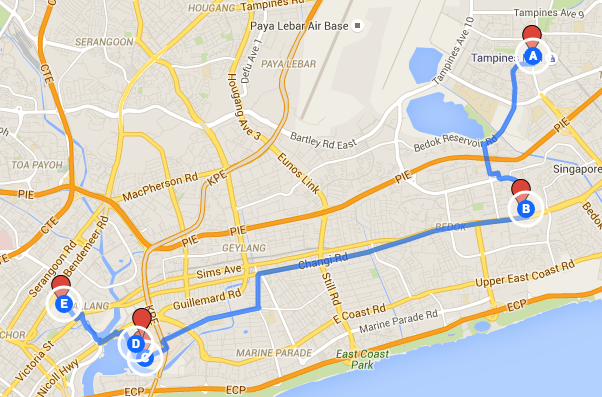 For a detailed listing of Sports Hub / 100Plus Promenade route please click here.